Prostate cancer is a multifocal tumor in the vast majority of cases. Multifocality has been reported in between 60% to 100% of cases. Most cases have 2 or 3 separate clones of tumor cells. 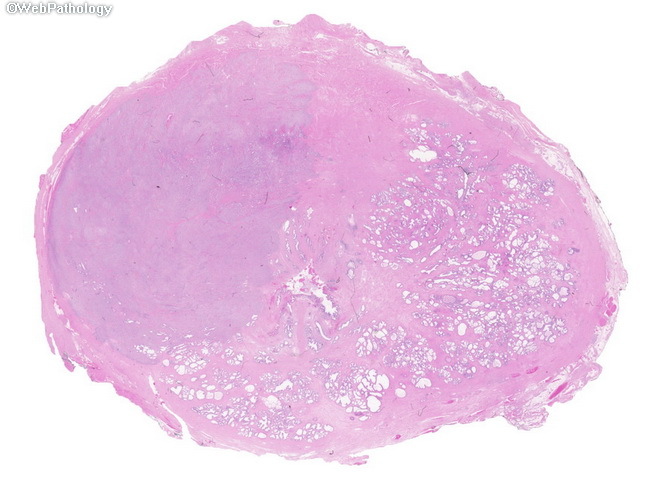 Occasionally, however, it consists of a single dominant nodule as shown in this whole mount. The normal architecture on the left side is completely effaced by the tumor.